Children need extra care, love, and nurturing to guide them as they grow up. But there are kids who need more. So much more, in fact. 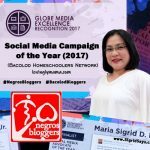 And this is where Raising Einsteins, a Bacolod center for special needs children, comes in to help. 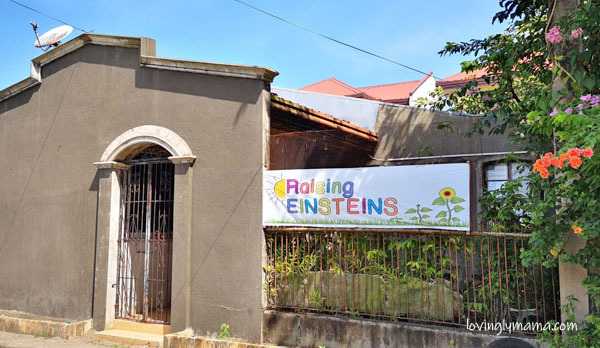 Raising Einsteins, a Bacolod center for children with special needs, aims to help people with autism, ADHD, and learning disabilities live independent and fulfilling lives. The term “special needs” cover a wide spectrum of disabilities that may affect children in their functioning in either cognitive, physical or mental aspect. And these manifest in different ways, such as aggressive behavior, poor grades in school, hyperactivity, and many others. 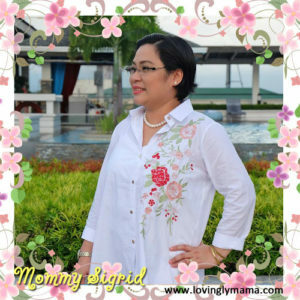 It’s not easy to be a SPED teacher. 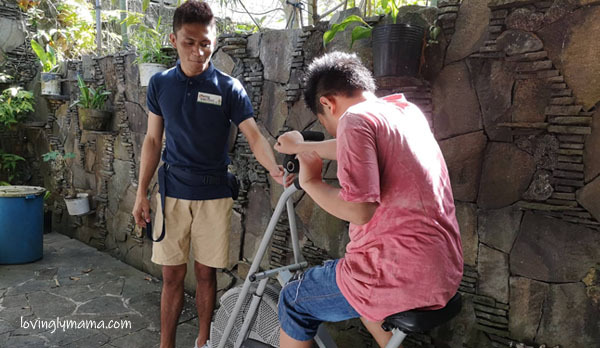 It does not only take a college degree or special training but also a lot of love, passion, and compassion towards children with special needs. Untrained individuals will most likely find it hard to deal with them on a day to day basis. Directress Krishna Lacson-Benedicto explains that their teachers at Raising Einsteins have completed training in Special Education. Children with special needs need much patience, love, and compassion from their caregiver. They are willing to work for simple rewards, such as this yellow balloon, as shown by Benedicto in this progress chart. 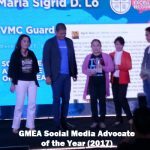 But aside from that, she has seen the passion, compassion, and commitment of the teachers towards their students, which is very important in this line of work. 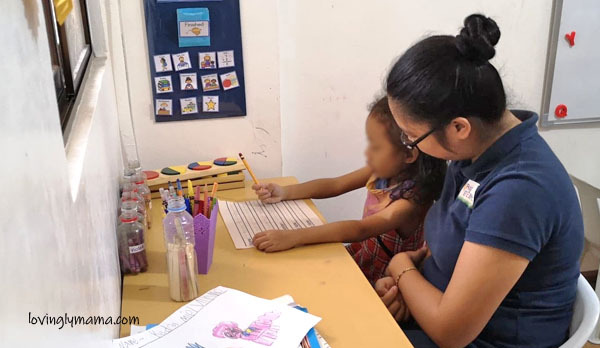 There are children with special needs who attend mainstream classes but need further tutorials to complete their tasks or prepare them for the next day. Some parents have opted to homeschool their children because of their special requirements. Raising Einsteins can supervise them while completing their school work. This child is enrolled in a homeschooling program, supervised by a Raising Einsteins teacher. 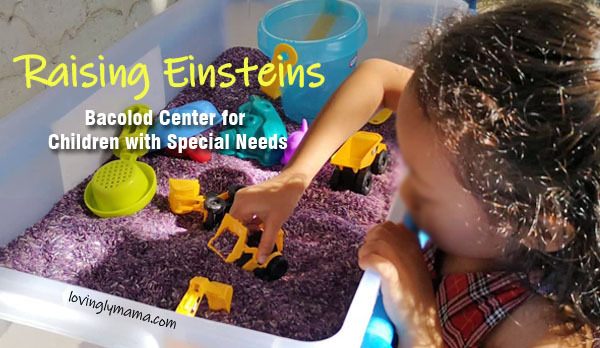 Raising Einsteins offers day care for special children. Depending on what specific care they need, their programs can be scheduled for an hour, half a day, or the whole day. 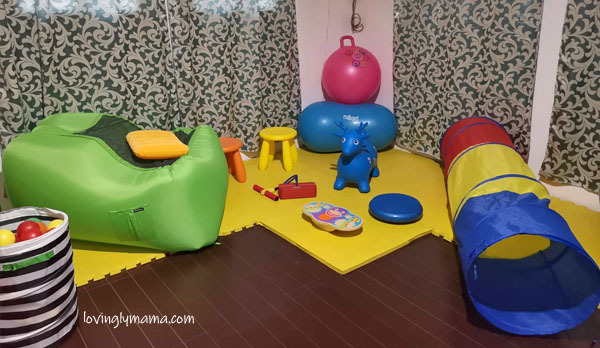 The aim is to train them with LIFE SKILLS, to give them safe haven while parents are at work, and also to send them home to their families in a state of calmness and peace. One of the ways to calm a meltdown, as modeled by my daughter Shawna. 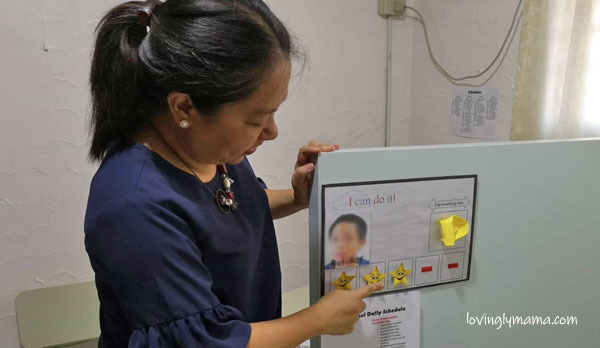 Prior to admission, Benedicto said that first step is Evaluation and Assessment to be done by Teacher Lynette, a trained SPED Program Director. Also, they would ask for an assessment report from a developmental pediatrician. 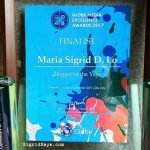 They work closely with Dr. Iris Bettina D. Echaus, a Bacolod developmental-behavioral pediatrician, with clinic at the Medical Plaza at B.S. Aquino Drive, Bacolod City. The children will then have an Individualized Educational Program (IEP), which is a collaborative effort between the developmental pediatrician, speech therapist, occupational therapist, and the center. The IEP is a legal document in the United States. This written document includes a detailed description of the child’s unique educational needs as well as the specific and measurable goals for the child, so it also evolves as the child progresses. Receiving room at Raising Einsteins. Assessment is not just limited to a single session. The staff at Raising Einsteins also go out of their way to study the family setup, talk to the parents, caregivers, and other family members in order to get a big picture of the child’s specific care needs and condition. Garden and playground. 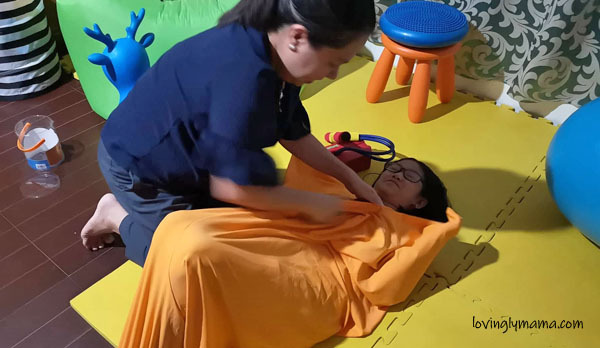 This second Bacolod center for special needs children only opened last December, so they are still on the process of developing the entire place. After assessment and they know what they are dealing with, Raising Einsteins will then recommend a program for the child. Physical exercise outdoors to use up excess energy. They accept children and teenagers. 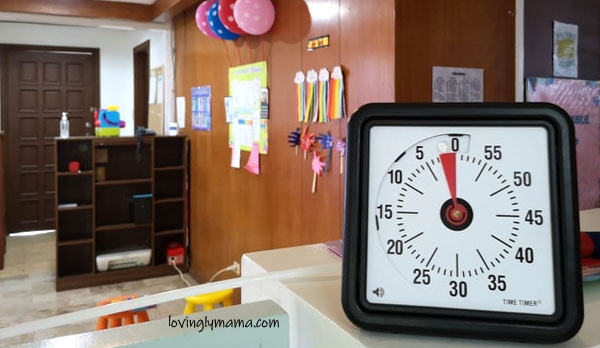 The children are taught to be conscious about the time using this Time Timer. A lot of special needs children possess very young minds and weak muscle control. Many of them are unable to do the usual tasks that normal children would often find very easy to do. Raising Einsteins recommends EARLY INTERVENTION. 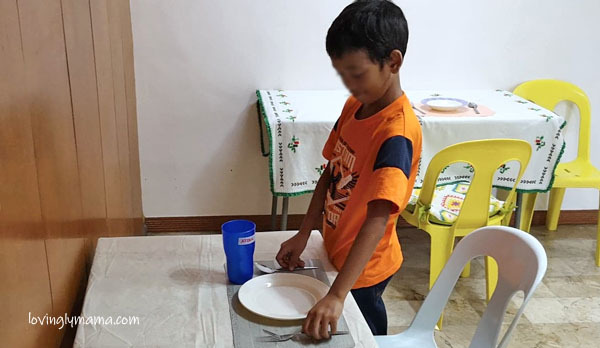 One of the students setting the table before his lunch. 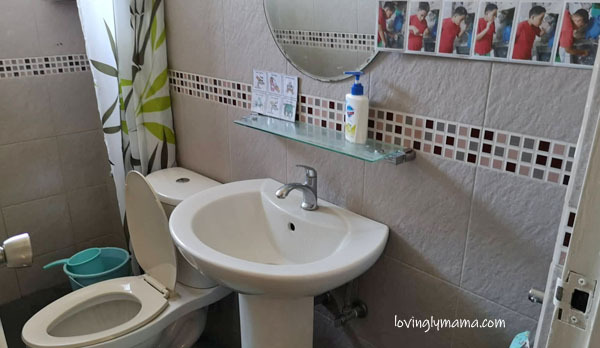 These kids need proper guidance and training in order to be able to perform some basic daily functions like taking baths, brushing their teeth, and toilet training. More advanced tasks would be the ability to set the table for meal times, prepare food, water the plants, and even wash clothes. 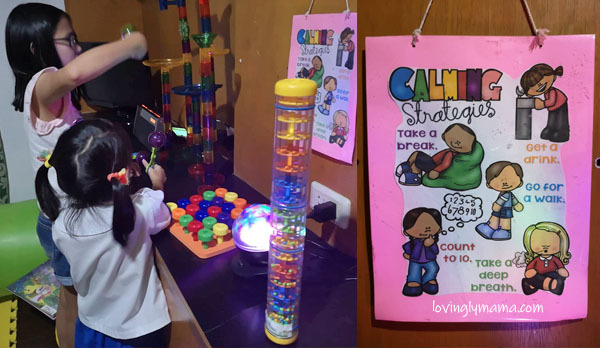 These are some of the basic life skills taught at Raising Einsteins. 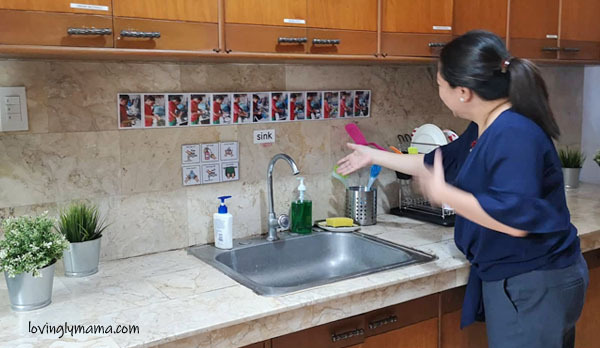 At Raising Einsteins, they use the PECS or Picture Exchange Communication System in order to effectively relay instructions to the children, like for example, the washing of hands. 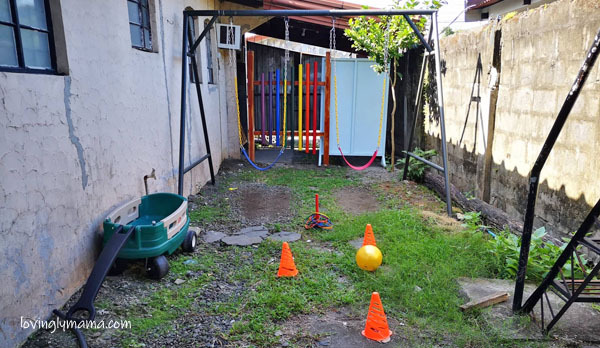 This is the very reason that this Bacolod center for special needs children features the set basic set up of a home. 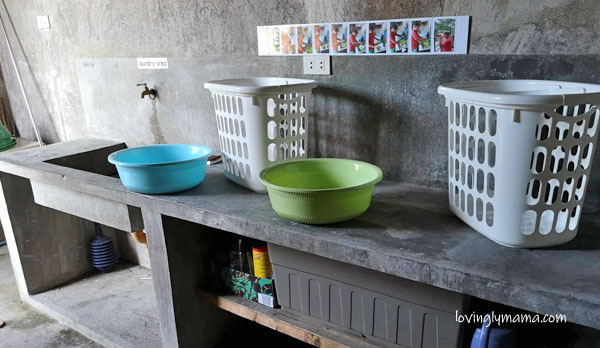 They have a living room, dining room, kitchen, garden, playground, and even a laundry area. 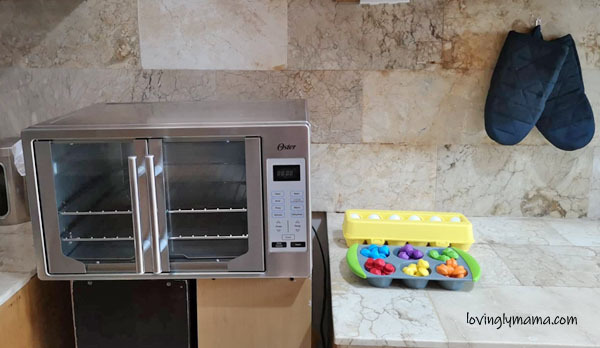 In this way, the children will be able to familiarize themselves with the different parts of the house and their functions. The laundry area. Still you can see the PECS on display. Eventually, they will add a mock dental clinic and doctor’s office. These will help the children become more familiar with doctors and medical processes as well as remove their fears. 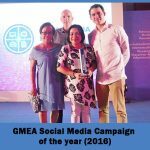 More than just a business, setting up a Bacolod center for special needs children has become Benedicto’s advocacy. Raising Einsteins aims to address behavioral problems as well as to teach life skills to special children so that they can function in their day to day lives with minimal assistance. 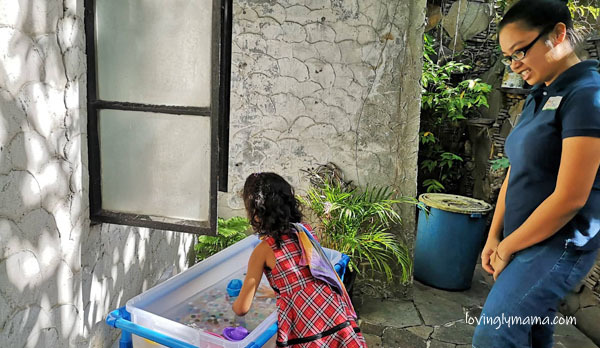 With the help of her partner Rose Remitio from the United States, they bring in materials, toys, and books that are specifically designed for special children. 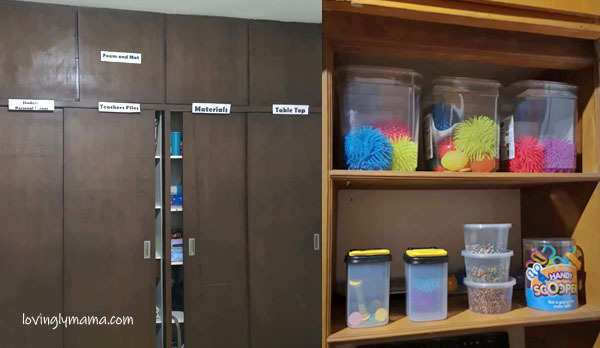 Materials are labeled and organized so that the children will easily identify and use them properly. Additionally, they understand that special children are born in every level of the society. They acknowledge the fact that it occurs even in low income families. 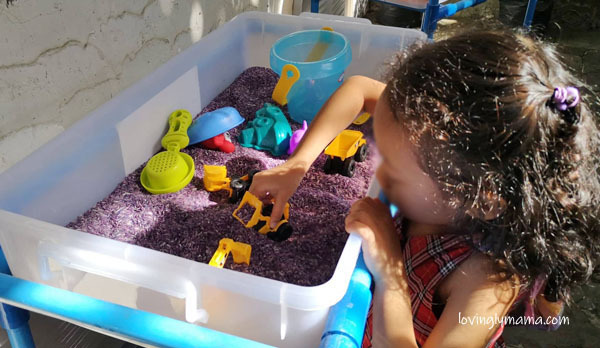 It is a such a struggle to fit in day care for children with special needs if you have a tight family budget. So Raising Einsteins strives to bring down the fees at the center while giving the best management programs to the children. The sensory room at Raising Einsteins. My kids enjoying the toys at the air conditioned sensory room. Does your family need help in raising a child or children with special needs? Or do you know of families who need this? 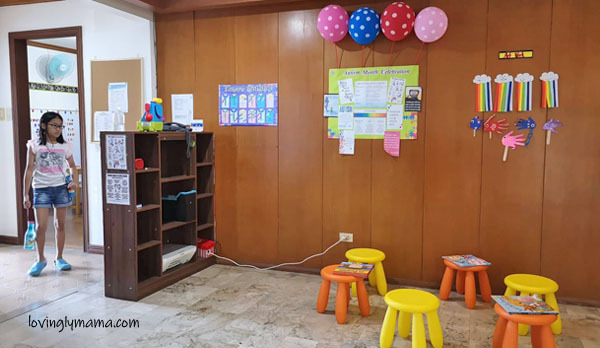 Then visit or call Raising Einsteins — Bacolod Intervention and Tutorial Center for Children with Special Needs. 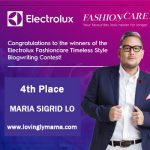 Raising Einsteins in Eroreco, Bacolod City.